Ubisoft has recently announced a new title called Werewolves Within for virtual reality platforms, developed by Red Storm Entertainment. 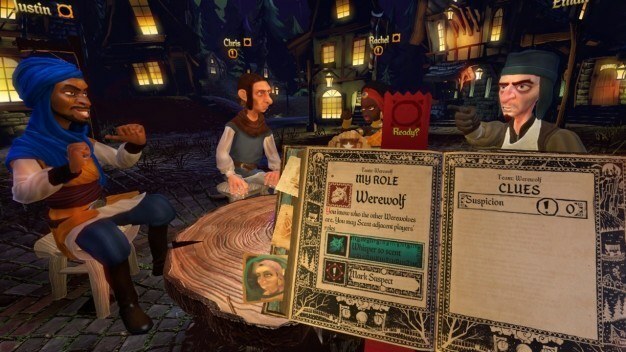 Based on the classic party game Werewolf, Werewolves Within is one of the first multiplayer VR games that’s been announced, and it’s designed to mimic the feel of playing the game around a table in person. In Werewolves Within, each of five to eight players is secretly given a randomly assigned role as a villager, a werewolf, or another special position. Using social deduction, players must debate and figure out who among them is secretly a werewolf. The game is meant to be played online, either with friends or with random players. The game will use voice and motion tracking to have your character match your own motions and body language as much as possible. So far, Ubisoft has only announced that Werewolves Within will be available in Fall 2016. No specific platforms have been listed, but it’s most likely that the game will at least support the Oculus Rift and HTC Vive.